Our Office Manager Nakeeia is the 1st contact with patients, and makes everybody feel welcome and at ease. She also provides patients with expert management of their dental insurance plans. Our Dental Hygienist Liz has been with the practice for years, and makes all the patients feel like they are part of the family. She also speaks French. Liz keeps up with new techniques and technology such as digital radiography and Certification for the biolase soft tissue Laser. My philosophy of practice is very simple. I believe that you are entitled to the very best dental care possible. I will gladly give any new patient a free consultation. 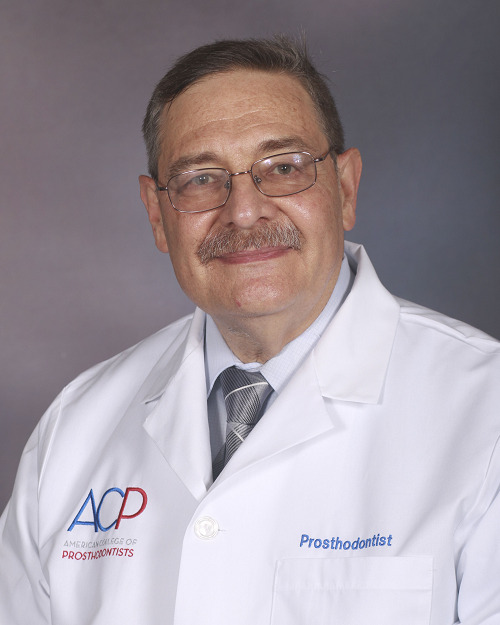 I have been in private practice since 1981 as a specialist in prosthodontics (crowns, bridges, implants), and as a general and cosmetic dentist. My practice of dentistry is based on sound time tested principles, and delivered with the latest in dental materials and technology. I believe in giving each patient quality time with plenty of individualized attention. I have a full time hygienist who also assists me, and is devoted to providing the best preventive care for each patient's situation. Every new patient receives a cleaning, a full series of x-rays, periodontal charting, oral hygiene instruction, and a thorough exam. By the end of the initial visit I make sure not only that you are informed of your treatment needs, but that you understand why. Then you are placed on a 3, 4, or 6 month recall program. Prevention is the cornerstone of my practice. For over 25 years I have had an amalgam free practice, for which my patients are quite grateful. Also, having done teeth whitening for over 30 years has led me to be quite cognizant of my patients' esthetic needs. In addition to routine composite / tooth colored restorations, I also do all ceramic crowns, porcelain laminates, and freehand bonding to enhance cosmetic appearance. To replace missing teeth I have been steering my patients towards implants for quite a few years now. For situations where implants are not the treatment of choice - I can do bridges or partial dentures. When a full denture is needed I will often fabricate it to snap into implant abutments. After a tooth has had a root canal I will usually restore the missing tooth structure with a cast gold post, and a crown. If you have gum disease I will use a non surgical approach first. Most often a scaling with anesthetic, followed by curettage by the soft tissue laser, and localized use of an antibiotic placed in the pockets, will yield excellent results. 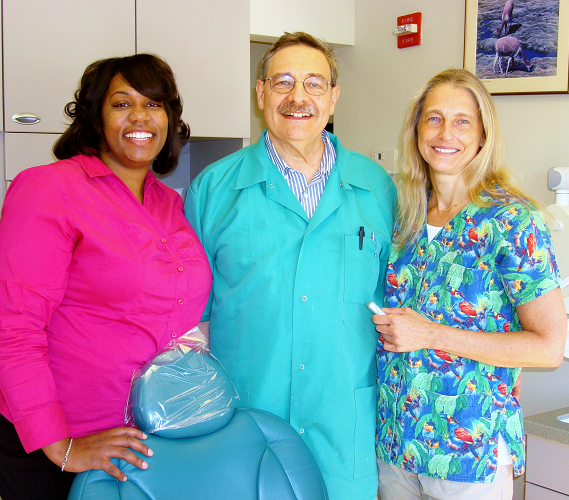 In the Boston area we are fortunate to have the finest dental specialists. Therefore I do not hesitate to work in conjunction with periodontists, endodontists, oral surgeons, and orthodontists to obtain the best quality of care and results for my patients. One of the most rewarding aspects of my practice is examining my patients at recalls, and observing that the work that has been done years ago is holding up very well. My patients have realized that they have received excellent care, and see that I have pride in my work. That gives me a tremendous amount of satisfaction. I take substantially more courses than are mandated by State Law. I believe that there is always room for improvement in one's diagnostic and clinical skills. To be an excellent dentist in this new millennium one must be current in new techniques, materials, and ideas. I am constantly reading dental journals, watching dental technique videos, attending evening lectures, and going to full day courses, meetings, symposiums, and conventions to upgrade and expand my knowledge. Dr. Zizmor recently received a Lifetime Achievement Award – the ADA pin from the American Dental Association, and the Massachusetts Dental Society. Volunteer work, and involvement in the Jewish community. Photography, working out at the gym, skiing, and scuba diving.